How many of those ingredients have you heard of? Those are the ingredients of the deodorant I used up to the day my mom plopped one of these bad boys on the counter – simultaneously throwing out my normal deodorant. Well have you ever heard of salt? It’s the only ingredient in this amazing product. It doesn’t stop you from sweating, but you wont smell. But does it work? Yes. I’ve worn this stuff to present at competitions, the Bahamas, dates, graduation (For which, mind you, I was in a black robe in late June.) Hell, I even wore it to prom! This stuff works. Sure, you have to rub the stuff profusely around your armpits. But who cares? 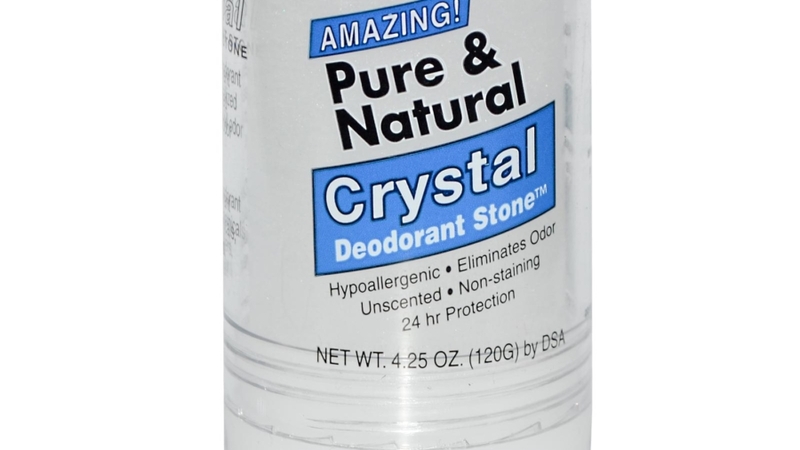 I’d rather an extra 10 seconds putting on deodorant than aluminum bio-accumulating within my system. I’d honestly write more if I needed to, but this review is simple. Your deodorant is horrible for you. This one isn’t. Yes. It works. That’s it. Want to see where you’ve been for the past few years?